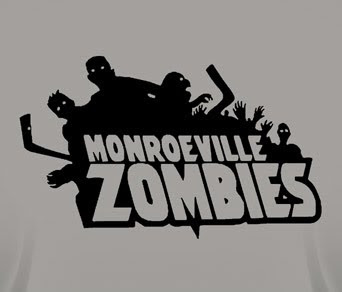 Nerdoh being VERY big zombie fans and also appreciating everything that Woody Harrelson ever does (ie Natural Born Killers etc), have come up with this Zombieland inspired t-shirt. Pacific Playland is where the foursome end up, making use of Columbus’s rules along the way.... which are printed on the back of the tee. 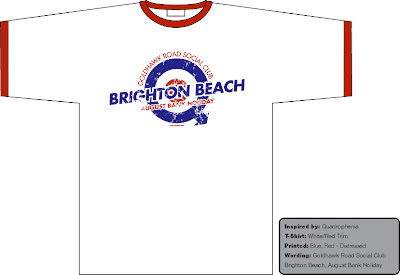 Full colour image on the front, distressed to the Pacific Playland logo for an old, retro look and then rule No. 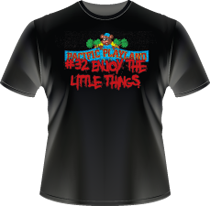 32 printed on top in blood red. On the back we have all the rules for a successful career killing zombies in deep blood red too. Super Premium black cotton tees, will make them last n last n last. NEW TEE - RAMBO: FIRST BLOOD! 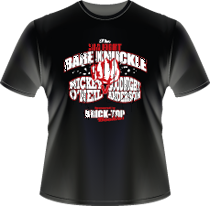 Nerdoh have a brand new First Blood inspired design just out!!! 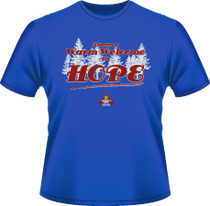 Taking inspiration from the town that serves up a 'warm' welcome to Rambo, our Tee incorporates Hope and the Sheriff’s Dept. Always a Warm Welcome in Hope!!! Printed in Red, white and yellow distressed on a Medium blue premium t-shirt this subtle First Blood design is perfect as a Xmas present for the 1-man army in your life!!! Nerdoh have a brand new design out based on the classic cult film, Death Race 2000, with David Carradine and Sly Stallone. 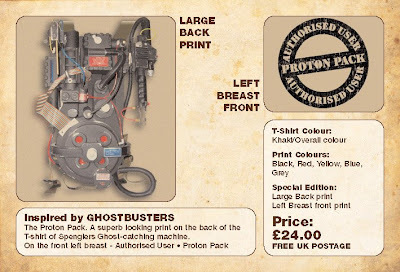 We have tried to go for an old 80s look, distressed for added authenticity and on a nice chocolate Super Premium T-shirt. 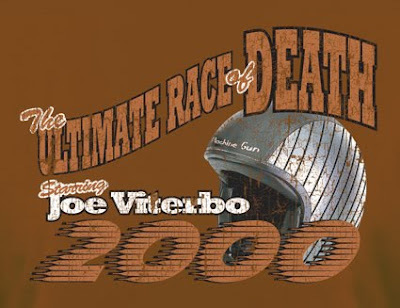 It includes Machine Gun Joe Viterbo’s helmet and The Ultimate Race of Death!!!! Following on from the 80s Death Race 2000 which we have just brought out, Nerdoh have a design inspired by this Kurt Russell/John Carpenter classic, Escape From New York. 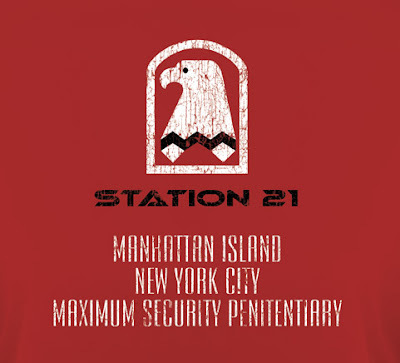 Again, a distressed 80s feel on a Deep Red Super Premium T-shirt the design is inspired by the Manhattan Prison’s logo and from where Snake Plissken sets off on his adventure from - Station 21. Cracking quality print in black and white that will last. Being big fans of James Bond (and especially the gadgets and girls) we had to produce a 007 inspired design subtle enough for aficianados, but cool enough to wear. We thought of SPECTRE, but didnt know if that was too obvious, so eventually one of our design gremlins came up with a Universal Exports design. Bond’s cover company in his many outings. 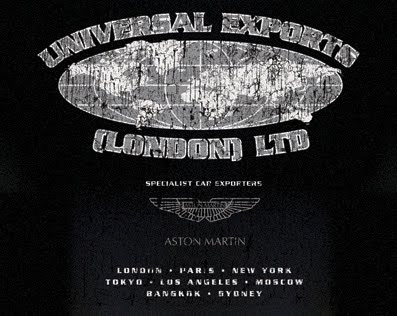 We have included our own take on the company with it specialising in exporting exotic custom Aston Martin’s to the parts of the world where Bond has been posted. Printed in a distressed grey and white for a classy, vintage look on a black super premium t-shirt that will last for mission after global mission. One of our favourite films here in the Nerdoh cellar, Starship Troopers is the cracking Paul Verhoeven bugs movie. 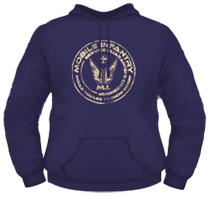 Our design is inspired by Michael Ironside’s Mobile Infantry and the United Citizen Federation - Would you like to know more? A distressed cream logo printed on a deep navy super premium cotton t-shirt. 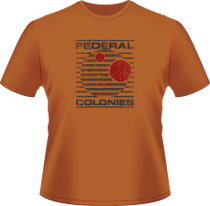 A subtle design for the avid fan...Service Guarantees Citizenship!!! Check it out at our website HERE. WHO KNOWS BULLITT ? New T-shirt! 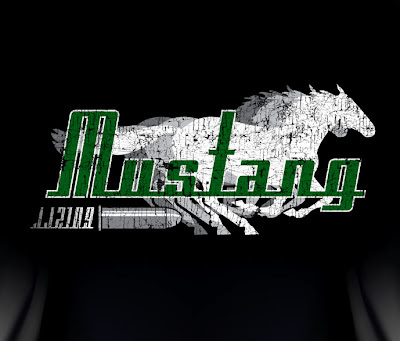 A brand new design from Nerdoh, inspired by the classic Steve McQueen flick, Bullitt. Renowned, and never topped, for its car chase scene between McQueen in his 1968 Ford Mustang Fastback and a Dodge Charger (Not a Challenger as we put - thanks JustaSchmuck) through the streets of San Francisco. Ultimate classic film with one of the true icons of cinema. 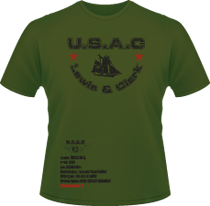 Our cool, super premium black t-shirt design has a very retro look, with distressed white and green print. Grab one at Nerdoh now. Thanks for checking us out. Inspired by super sci-fi movie, The Matrix. 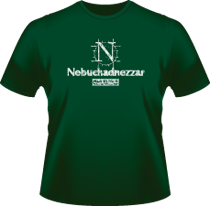 The Nebuchadnezzar was Morpheus’ hovercraft ship in The Matrix!! This Nerdoh t-shirt in white distressed on a dark bottle green t-shirt looks stunning, with a heavy industrial look. Also depicts the nameplate on the ship, Mark III, No. II Made in the USA 2069. HELLBOY T-SHIRT - Sneak Peek!! Here at Nerdoh we want to produce t-shirt designs that YOU the fan would like to wear, so for the first time we are giving everyone a sneek-peek of (maybe) a new design! Hellboy: The Gold Army is a great new film from a cool director. 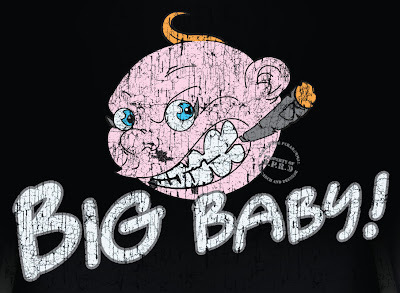 His 'Big Baby' cannon gun is a great piece of equipment and we wanted to recreate this for a t-shirt. We have also incorporated a stamp-style logo for the Bureau for Paranormal Research and Defense to give the right feel. We would like any comments, thoughts or suggestions on the above tee!! What do you think of it? Is it the right colour shirt? Does the distress look appeal? Please send us your thoughts and help us bring to you what YOU want. Thanks very much - Nerdoh! Inspired by one of the classic movies from Quentin Tarantino - Pulp Fiction. Monster Joe’s attracted the wrong kind of person in Pulp Fiction with Vince and Jules going there to get rid of Marvin’s body who they accidentally shot in the back of their car!!! 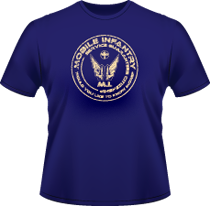 This Nerdoh t-shirt replicates the telephone numbers and logo of the famous Auto Salvage company in the film. 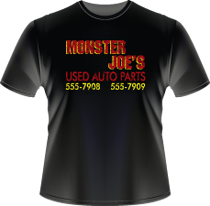 This is a variant on our very popular 'Yellow' Monster Joe design. So, if you aren’t into bright, summery colours this style might suit you down to the ground. Printed in an old distressed look in red and yellow onto a Super Premium 100% cotton t-shirt. Very cool, very classy, very subtle. 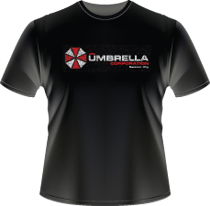 Classic Umbrella Corporation design t-shirt, inspired by Resident Evil, and produced to Nerdoh’s usual high quality. Logo from the movie plus Raccoon City subtley placed underneath to get that unique and authentic look. Printed in Red and White distressed-look on a black super premium 100% cotton t-shirt. Inspired by one of Francis Ford Coppola’s classic movies, Apocalypse Now, this Nerdoh Tee gives a bow and a smile to Colonel Bill Kilgore. Charlie Dont Surf!! Well, the U.S Army does!!! 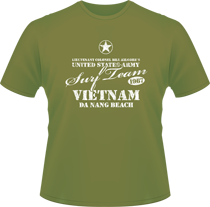 Well, here we have the U.S. own Surf Team t-shirt from 1967, Da Nang Beach!! Olive/Khaki green with a white distressed print for that authentic lived-in look. Check it out at our Brand New website. You like Watchmen? You do? 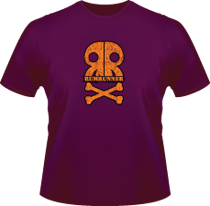 We have a cracking new design available that is a little different from your average smiley face with a splash of blood. The Rum Runner is a main landmark in the movie with a great logo which has inspired us at Nerdoh to produce this little number. Check it out on our site for more details and pricing. Straight out of one of the most highly anticipated movies of the last decade comes this beautiful (yes beautiful) new Watchmen inspired movie t-shirt. Sing Sing Maximum Security Prison is the holding place where Rorschach is incarcerated before being freed by the other superheroes. Distressed 'watchmen' yellow print on Super Premium pre-shrunk 100% cotton black tees. CHECK IT OUT ON OUR BRAND NEW WEBSITE - CLICK! we bring you a brand new t-shirt design. One of the best comedy series on the TV, this t-shirt is inspired by Family Guy!! 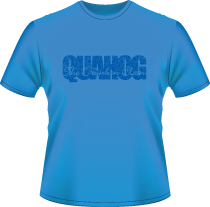 Printed as a dark blue print on a surf blue Super Premium 100% Cotton t-shirt, this design says, 'Quahog' where Family Guy is set, plus that lovely drinking hole The Drunken Clam. Subtle, cool and cracking quality that will last and last and last etc!! This movie inspired t-shirt is one of my favourites. Printed in a very dark brown on an off-white/stone colour super premium 100% cotton t-shirt, this Dirty Harry design is a classic in film history. Clint Eastwood was the super cool, ultra tough San Francisco cop in the 70s. 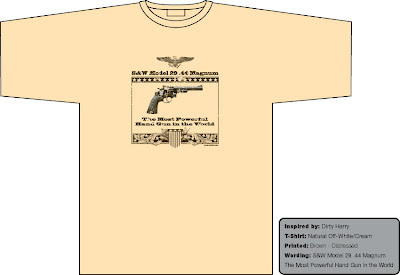 Our inspiration for this t-shirt has come from the iconic Smith & Weston Magnum which was his trademark gun. Along with a classic quote from his film..."The most powerful hand gun in the world". 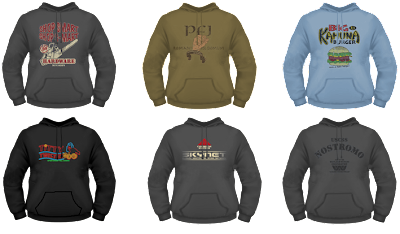 Given a U.S. style theme, anyone whos a fan of Dirty Harry or even Clint Eastwood himself should grab one of these. The film that made me not want to have a bath for weeks on end!! Amity Island, Sun Sea Surf and....well, we all know!! 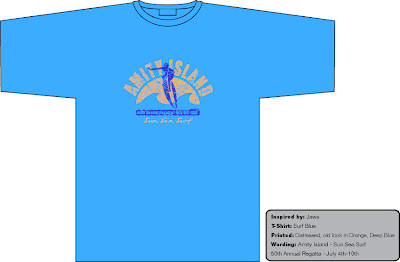 Our Jaws movie inspired t-shirt also has the Regatta dates across it, just as the Billboards in the movie. Our t-shirt is printed on a surfy blue colour in a distressed dark blue and sunset orange to make you feel like you have just got back from your annual vacation!! The ultimate Jaws movie t-shirt!! 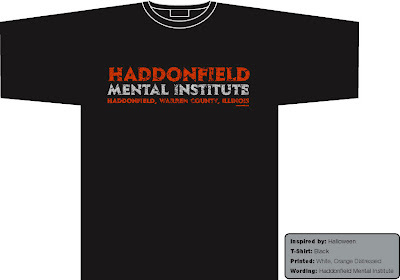 The latest movie inspired t-shirt for the new year is inspired by the ultra spooky Silence of the Lambs. 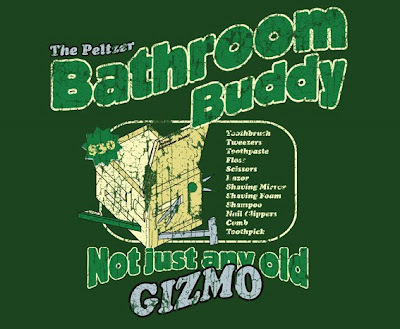 However, as all Nerdoh Tees, isnt the obvious, and we focus upon NOT Hannibal Lecktor but the other serial killer in the movie - Jame Gumb, aka Buffalo Bill!!! There are some brilliant scenes with this character in the movie, none more so than 'Bill' having a dance in his newly stitched-up skin suit in front of the mirror with....well, im sure we have all seen it. There’s also the death pit scene, where one of his victims is incarcerated and being asked to..."put the lotion on her body......put the f*cking lotion on your body" - pretty dark and scarey, by all accounts, but a classic quote and scene. 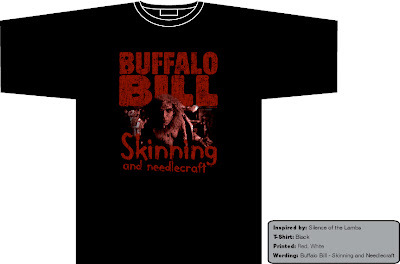 To this end, Nerdoh have this mega-cool movie t-shirt, with our distressed and worn looking print and design - Buffalo Bill with Skinning and Needlework scratched underneath and a disturbing picture of Buffalo Bill starting up and moving away from his camera. All in a deep blood red and cream print. Hopefully, this is different from all the boring, humdrum designs inspired by Silence of the Lambs and featuring Hannibal Lecktor, his mask or the death moth!! Please let us know what you think as we are always open to feedback. One of the most epic, coolest, action packed movies of the last 10 years, Peter Jackson’s King Kong was a feast of CGI, great acting (Jack Black as Denham) and classic storyline. Nerdoh’s own inspiration to pay homage to this movie is the S.S. Venture - the ship Denham used to get to Skull Island. 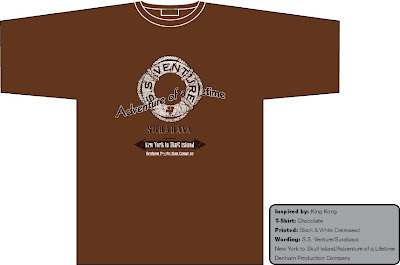 Also included in the design is the port from which the S.S. Venture came, Surabaya plus “New York to Skull Island” text along with “Adventure of a Lifetime” all in a distressed design. 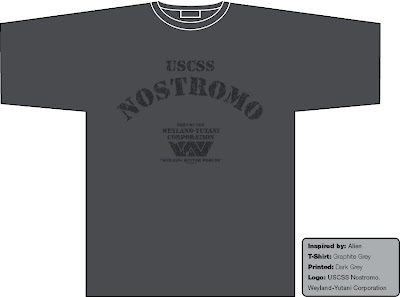 So, you might not be able to make it on a cruise to Skull Island this year, but you can always grab one of these cool tees as a souvenir of a great voyage. 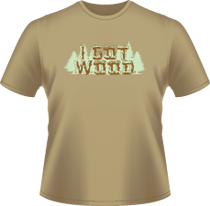 Produced on a Super Premium chocolate pre-shrunk T-shirt. 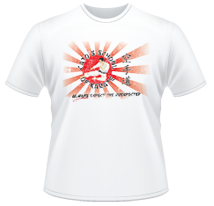 Nerdoh have this very special edition Quadrophenia inspired T-shirt now available. 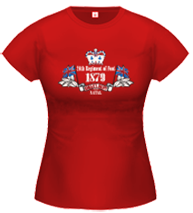 A lovely distressed, 60s looking design, printed on a white with red trim t-shirt. Depicting the Goldhawk Road Social Club where The Who actually played and where some of the film takes place, along with Brighton Beach, August Bank Holiday, where the Mods and Rockers congregated for the annual scuffle!!! 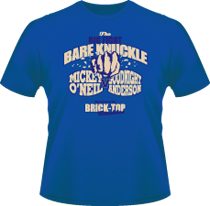 This Special Edition T-shirt is available at £20. FREE UK postage, LOW WORLDWIDE. 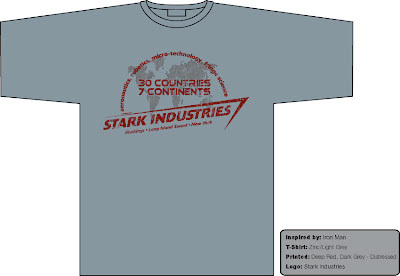 Crossing over 7 continents and 30 countries, Stark Industries spans the globe. 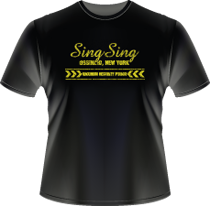 We have including the address of its head office; Flushings, Long Island Sound, New York and printed it in a very cool looking deep red and grey on a Zinc/Lt Grey 100% Premium T-shirt in a distressed style. Its one of the best movies of last year and we think it is one of the best designs we have done. 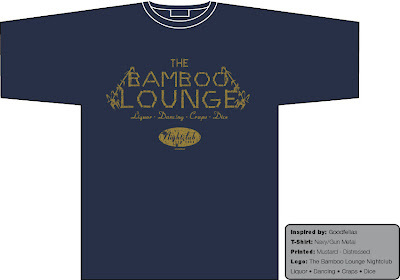 The Bamboo Lounge was an integral part of the first half of the movie and appeared in quite a few scenes and is where the ‘wiseguys’ disposed of their ill-gotten gains. It was also the nightclub hangout for them, providing dancing, craps, dice and drinking. It is also where the infamous Joe Pesci “funny guy” scene took place. Ray Liotta suddenly finding himself in Tommy’s firing line! A superb scene and pretty scarey. Our movie t-shirt is inspired by this famous scene and nightclub, being printed on a Navy 100% cotton premium shirt in a distressed mustard colour. 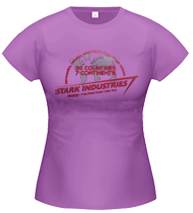 So, to grab your souvenir t-shirt and at cracking price with FREE POSTAGE WORLDWIDE, take a look at our movie t-shirts page.